This page is a little longer than my usual stuff, yay! 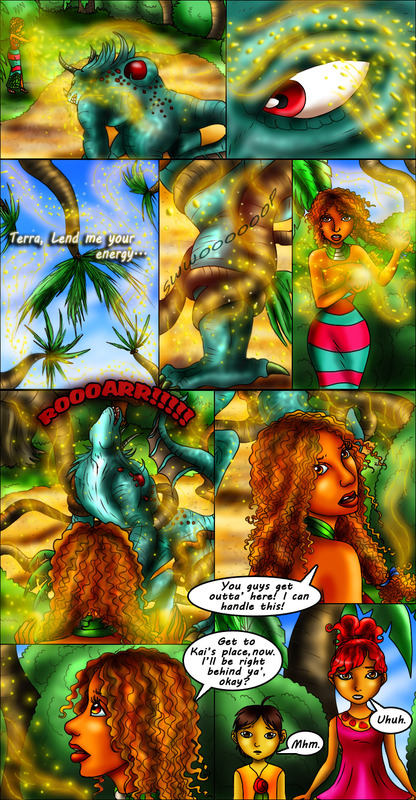 Roxy’s borrowing some power from mother Earth in this update! Let’s see if you can get herself out of this minor fender bender! Mother nature! To the rescue! Hehehe xD! Nice old school reference :p.